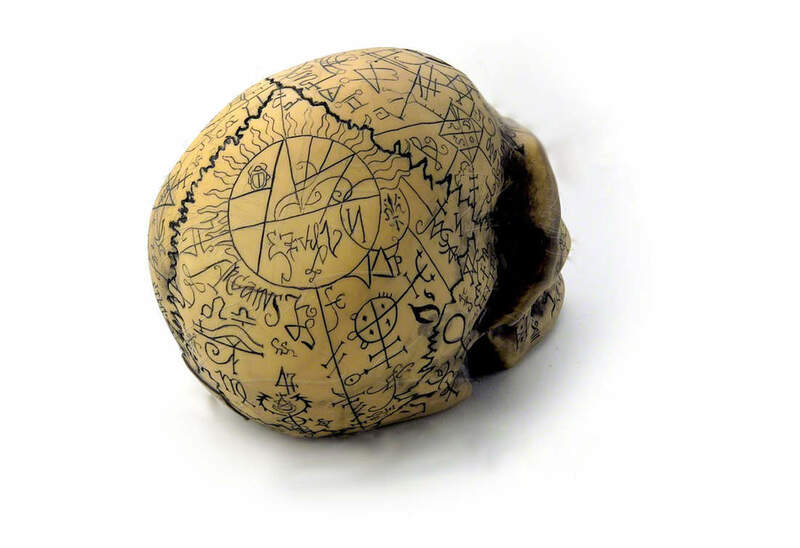 A life-sized Alchemist skull, carved with the symbolic wisdom of 7000 years of history. Measures approximately 4.72 inches wide, 5.67 inches high, 7.87 inches deep. Made of painted resin. By Gothic Alchemy. 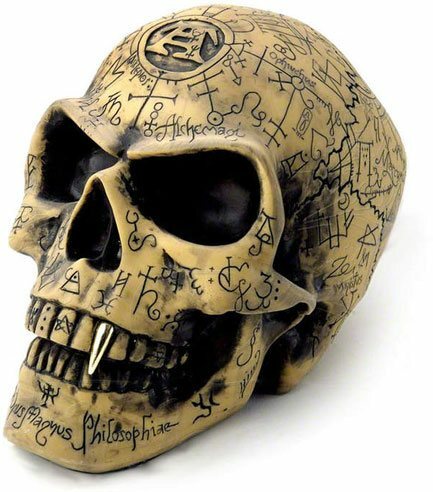 Received this skull 2 days after I ordered it and I have to say it is marvelous. The detail is striking and the overall look will absolutely compliment my decor. Delivery was really fast the skull was PERFECT. Exactly what I wanted. Thanks Rivithead! 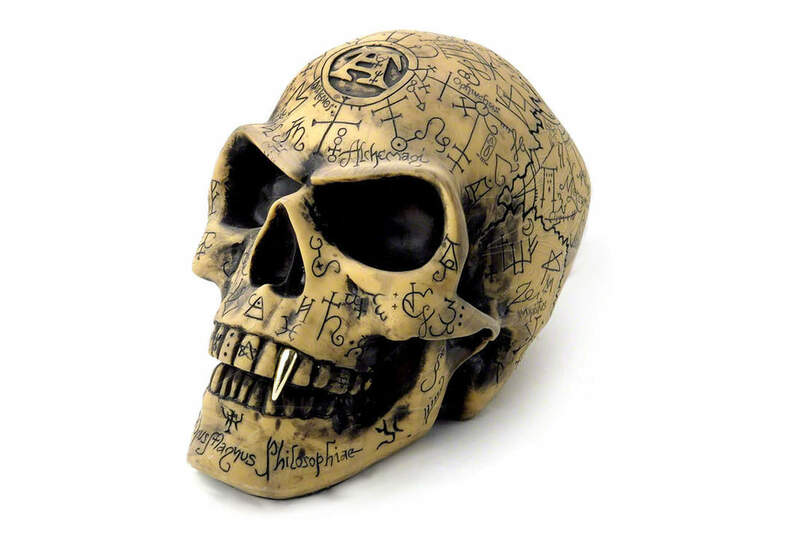 This skull is definitely life size. Very ominous looking as well. And, mine came with an extra gold tooth. I guess in case I loose the original one or something. Well worth the money.